She glanced up at Ethan to find him glancing down, and the warm feeling curved around her insides again. Surely New York men couldn’t be shorter than this crew, or any less manly, but she couldn’t remember the last time she’d been around so much blatant testosterone. She must be ovulating. Why else would she react like this to a perfect stranger? Ethan touched her arm. "This way." She followed him down the hall, the others falling into place behind them like a cowboy entourage. 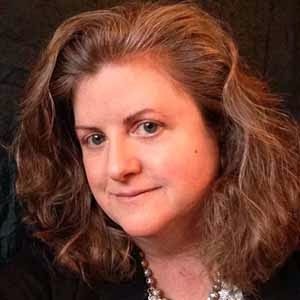 She stifled a sudden laugh at the absurdity of it all, slipped her hand into her purse and grabbed her digital camera, capturing the scene with a few clicks. Had this man – this…cowboy – sat down and planned out the video he’d made? She tried to picture Ethan bending over a desk and carefully writing out "Sweet. Good cook. Ready for children." Shaking her head to dispel that dangerous image, she found herself at the airport’s single baggage carousel. It was just shuddering to life and within moments she pointed out first one, then another sleek, black suitcase. Ethan took them both, began to move toward the door and then faltered to a stop. He avoided her gaze, focusing on something far beyond her shoulder. "It’s just…I wasn’t…." Oh God, Autumn thought, a sudden chill racing down her spine. Her stomach lurched and she raised a hand as if to ward off his words. She hadn’t even considered this. He’d taken one look and decided to send her back. 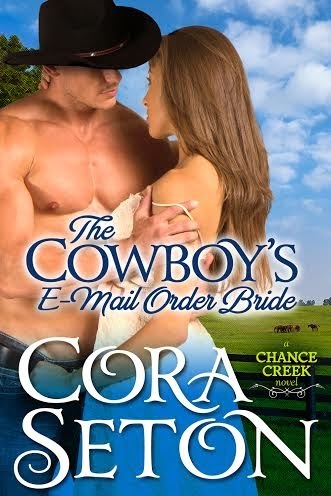 The Cowboy's Email Order Bride by Cora Seton is a 2013 One Acre Publication. I was provided a copy of this book in exchange for an honest review. Ethan has been ditched by his fiancé and in a night of drowning his sorrows he tells his buddies what he thinks would make a good wife. Little did he know his best friend Rob was recording everything he said on his phone, nor that Rob has decided to post it to you tube. The next thing he knows Autumn Leeds has shown up accepting his offer of marriage, home life on a ranch and promises to provide him with babies. While Ethan's friends are laughing about the joke they played on him, they never gave a thought to who Autumn might be and why on earth would she answer an online ad for a bride. Autumn does have her own agenda. This is a another enjoyable story is this series. If you like contemporary western romance or just plain old contemporary you should check this series out. FOLLOW THE TOUR AND COMMENT FOR MORE CHANCES TO WIN!! Hello to another new-to-me author. Look forward to reading more about this book. Thanks for hosting my tour today! I want to let your readers know that The Cowboy's E-Mail Order Bride is Free right now on all platforms!!! So have you gotten a chance to write any stories incorporating life restoring your lot? I can see it now...woman with nothing but a run down few acres...trying to turn it into a successful vineyard/orchard/etc and the cowboy she ends up hiring for help turns out to be more trouble than she thought...lol! Do you think that a love based on lies can last? I'm not the author- but, I think I would prefer the word "secrets" over the word "lies" . .. which isn't really healthy in a relationship, but eventually all is revealed and they have a chance to start with all their cards on table. Cora, what is the your favorite part of the book? Best of luck with the Chance Creek series. I want to read more of this series, loved this book.